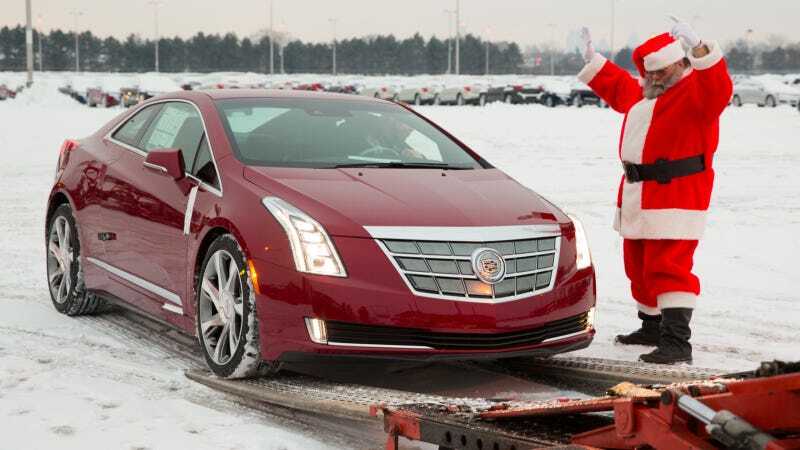 The ELR's driving range, which combines battery-only electric power with a range-extending gasoline-powered electric generator provides total driving range exceeding 300 miles (480 km). The extended range technology is uniquely tuned for Cadillac in the ELR. Most daily commutes will require no gasoline and emit no tailpipe emissions. Today's event marked the return of Cadillac production at Detroit-Hamtramck after a two-year hiatus. Employees last built the Cadillac DTS large sedan from 2006 to 2011. The plant has built some of GM's best-selling and most important cars. The first vehicle produced for sale at Detroit-Hamtramck was a Cadillac Eldorado, which came off the end of the line on Feb. 4, 1985. Since then, more than 3.5 million Cadillac, Buick and Chevrolet cars have been built there.